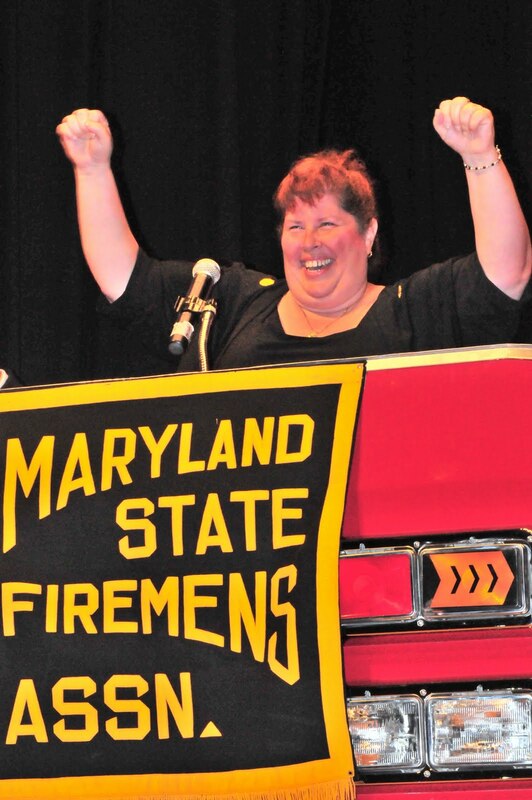 Teresa Ann Crisman, a long time volunteer and fire safety advocate, took the oath of office and was installed as the President of the Ladies Auxiliary to the Maryland State Fireman’s Association (LAMSFA). The installation ceremony took place on June 21st during the Annual Convention held in Ocean City, Maryland. She will serve the one-year term just as she has served as a member of volunteer ladies auxiliaries in Prince George’s County; working tirelessly for the overall good of the MSFA and ladies auxiliaries across the State. She takes over from a fellow Prince Georgian completing her year as President of MSFA Ladies Auxiliary. Sandi Lutz, a member of the Glenn Dale Fire Association, has served exceptionally well and her tenure reflects favorably on herself, Glenn Dale Fire Association and Prince George’s County. A surprise visit from Prince George’s County Executive Rushern Baker was greeted with a feeling of euphoria and excitement by the combined career and volunteer members in attendance. Baker spoke to the audience and congratulated immediate past president Sandi Lutz on having served a successful year and bestowed his best wishes and support for Teresa Crisman for the year ahead. Lutz and Crisman each received a certificate from the County Executive and Acting Fire Chief Marc S. Bashoor for their milestone achievements. Accompanying County Executive Baker was Brian Moe; Director of Homeland Security and Kerry Watson, representing Mr. Barry Stanton; Public Safety Director. Also in attendance was former Prince George’s County Fire Chief Ronald D. Blackwell. When he was the Prince George's County Fire Chief in 2002, Blackwell promised Teresa that if she was ever elected to President of the LA-MSFA he would attend the ceremony. So it was that Chief Blackwell traveled from Kansas to Ocean City, MD, fulfilling his promise to join Teresa in her celebration. and Jim Crisman from Branchville Volunteer Fire Department. Chief Marc Bashoor and Director Brian Moe looking on. and Acting Fire Chief Bashoor. Teresa Crisman is escorted to the stage. Teresa Crisman takes the Oath of Office as President of the Ladies Auxiliary to the MSFA. County Executive Baker, Immediate Past President Sandi Lutz and Chief Bashoor. Crisman with County Executive Baker and Chief Bashoor. Firefighters from across the State of Maryland were provided with an informative training session that captured the attention of everyone in attendance. 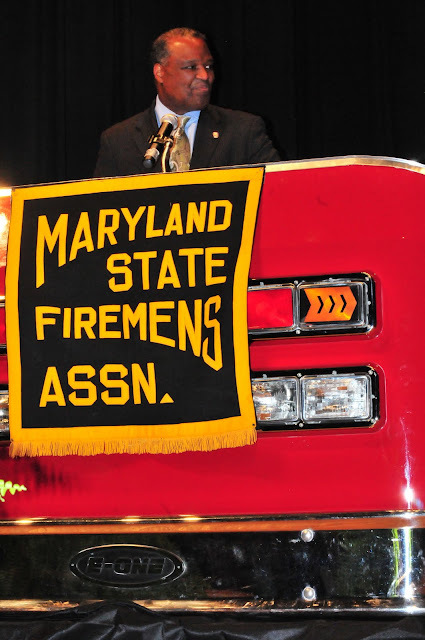 The session was held during the Maryland State Fireman’s Association (MSFA) 119th Annual Convention. Thousands of firefighters, medics, Emergency Medical Technicians, Ladies Auxiliary, family and friends converge on Ocean City, Maryland, every year during this June week to participate in convention activities. During this multi-day convention business meetings are held, there are election and installation of officers, apparatus and vendor displays and numerous training opportunities are held. One of the most attended training sessions held this year was entitled “Firestorm 2011.” This session chronicled what is being called the busiest day in the history of the Prince George’s County Fire/EMS Department: Saturday, February 19, 2011. During the session, Prince George’s County Acting Fire Chief Marc S. Bashoor detailed the events of the day that included dry weather conditions and high gusting winds that produced hundreds of brush fires, seven significant fire incidents and over 900 calls handled throughout the course of the day when 350 to 400 is the normal. Damage from that day was tabulated in the millions of dollars, a dozen occupied structures damaged or destroyed and over a thousand acres of property scorched. The day produced the second time in the history of the Fire/EMS Department where a call back of career personnel was made (the first call back was on 9/11/01) and a request for 40 additional pieces of fire units from across the State of Maryland. Fire/EMS units from Virginia and the District of Columbia also provided mutual aid. Bashoor held two sessions, the first on Monday afternoon at 3:30 pm. 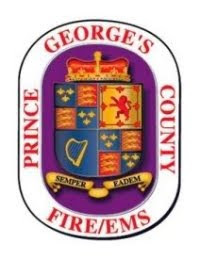 This 2-hour session was attended by about 80 firefighters from across the State; mostly from Prince George’s County, that heard the details of the seven significant incidents and lessons learned that were chronicled in After Action Reports. This was an interactive sessions that included commentary from several members of the Department that played an integral role in the events of that day. Some of these personnel providing commentary included; Jerry LaMoria, PGFD Emergency Operations Commander; Wendy Baden, Baden Volunteer Chief; Chuck Fusco, Berwyn Heights Volunteer Chief; and Raymond Briscoe and John Gardiner, Branchville Volunteer Firefighters. 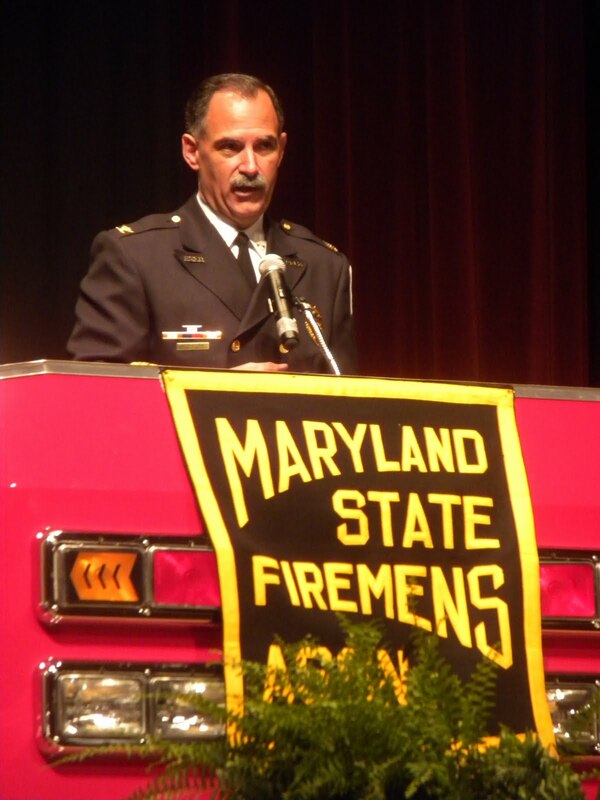 The “Firestorm 2011” presentation by Chief Bashoor was one of the most attended training sessions of the convention. Chief Bashoor also presented an abbreviated and informative session on “Firestorm 2011” from the main stage during a general business meeting on Tuesday morning. About 2000 people attended this session. The program was well received by all in attendance with Chief Bashoor receiving positive feedback from dozens of firefighters. Chief Bashoor also presented an abbreviated and informative session on “Firestorm 2011” from the main stage during a general business meeting on Tuesday morning. fire apparatus on display at the request of the manufacturer. These included engine from Branchville and District Heights and a heavy-duty rescue squad from Laurel Rescue.